A consortium of Singaporean institutions and private sector companies* have worked jointly to achieve a record 6 hour endurance, 300 km flight on the Skyblade 360 UAV built in Singapore by ST Aerospace. Besides achieving a significant technical and performance milestone for hydrogen-on-demand enabled fuel cells, it is also the first time in the world that a fuel cell moves beyond the prototype stage and enters the standard products list of a UAV manufacturer. 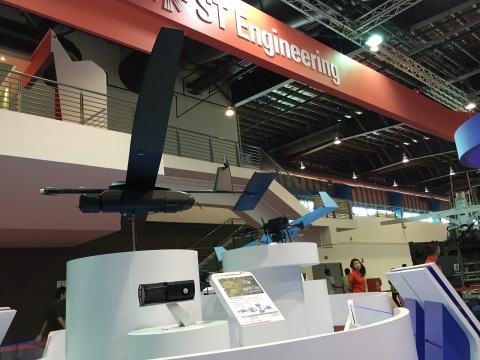 The Skyblade 360 UAV was showcased at the 2016 Singapore Air Show.